I wonder what it is about humans that make us so eager to find the next something. Awhile after eBay made it big with their online auction site, there were articles that popped up in newspapers, magazines, and other writing outlets, positing what would be the next eBay. Even though eBay has been around for nearly 15 years, there are still articles written about what will be the next eBay (a sampling: here, here, and here). The confusing thing for me is, why are we looking for the next eBay, shouldn’t we be looking for the next big thing — in general? The same question that was asked when eBay made it big is being asked about Facebook now that it has gotten so big. “What’s going to be the next Facebook?” (Again, a sampling: here, here, and here.) I can even remember an article about how one of the original investors in Facebook, Peter Thiel, thinks that Palantir is going to be the next Facebook or Google. How, or maybe more accurately, why are these people trying to figure out what the next Facebook is going to be? I wonder if it’s more a stature thing. They are asking about what is going to be the next big thing rather than what will bump these internet companies from atop the food chain. Some of the articles I’ve read about this area really trying to figure out what is going to usurp eBay or Facebook from their status as an online auction site (or social networking site, in Facebook’s case). To my mind, there really won’t ever be a next eBay or a next Facebook. 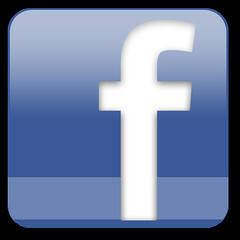 The technology that knocks Facebook off of its pedestal will not be seen coming as the next Facebook. It might even be something totally different. It could be something more scientific, really, that garners support and slowly starts to grow across a few industries. I think it’s ludicrous to think that there will be a next anything with regard to the kinds of technology and organizations that we have today. Facebook is too smart (and beginning to be too powerful) to let a start-up come up with an idea that is slightly off-center of Facebook, but that could siphon off Facebook’s users. They have more than enough money to dedicate to R & D that will have the company expanding upon itself for quite some time. Companies like Facebook and eBay succeed because they have found a ‘sweet spot.’ In the Venn diagram to the right, the ‘sweet spot’ would be characterized by the triple intersection of A, B, and C, in either the top left portion, highlighted by a bright green color, or in the bottom portion, highlighted by a mix of red, green, and blue. This triple intersection can vary from (revolution) to (revolution). I think one of the main reasons for the success of eBay was in part due to the Western world’s undeniable urge to shop. As the internet started to grow, people began seeing the internet as a legitimate place to buy things. As eBay was a place to buy things, naturally, people flocked to the site. As they learned they could also sell things to, well, then it just took off. For eBay, and more importantly in the case of Facebook, the development of their company (or product) filled a desire in the population that the population didn’t otherwise know existed. People didn’t really know (before Facebook came) that they wanted to spend countless hours on the computer interacting with their friends. I think that articles that try to pinpoint what the next anything is going to be are a little near-sighted. If these people were really curious as to what the next big thing was going to be, they should be trying to identify desires of the population that haven’t already been satisfied. I suppose if they could do that, they’d probably not be writing articles about it. This entry was posted in Business, Technology and tagged eBay, Facebook, Fresh Perspective, Question, Think, Trends. Bookmark the permalink.